Amazonite is a wonderfully soothing stone that inspires honor, self-love, communication, integrity, trust, and psychic vision. It alleviates worry and fear and soothes emotional trauma. 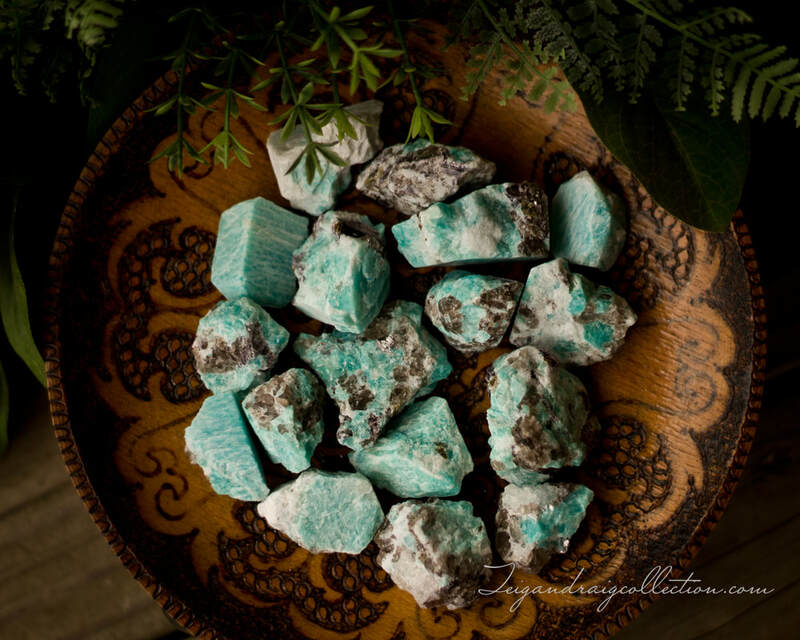 Amazonite brings balance to masculine and feminine energies. 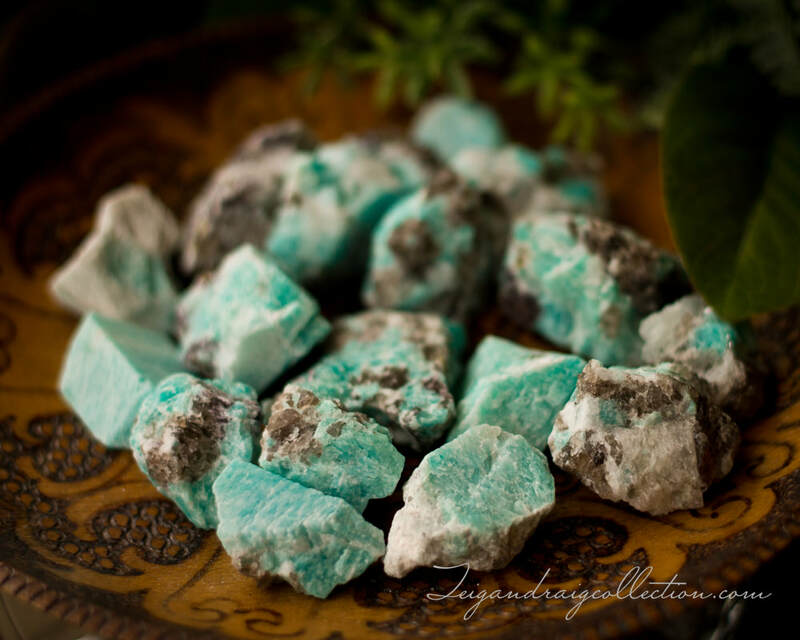 This beautiful stone is generally aqua in color and may include white, pink, grey, or lavender. 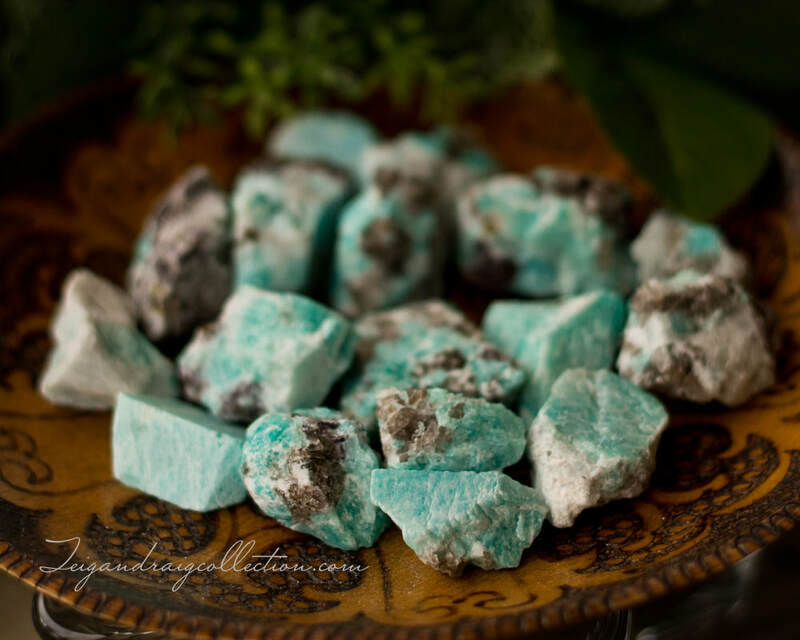 Amazonite is associated with the Heart and Throat Chakras. Stone sent to you will be intuitively chosen just for you. Please contact me HERE to place an order.